After a week or so of radio silence due to vacation and no internet access, the Fun ‘n Games is back! 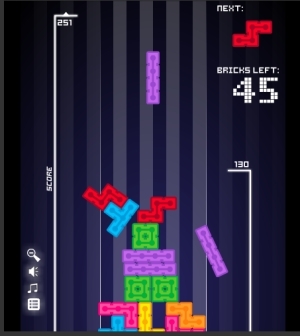 We submit to you 99 Blocks, an interesting take on the classic game of Tetris. Instead of lining up blocks to make the disappear, the blocks stay on the screen and the highest tower wins. If you see a block coming that doesn’t fit, you can discard it by using the “c” key but you only get 99 blocks so each discard lowers your potential ceiling. Guaranteed fun for your Friday – so head on over and play to your heart’s content!